Magnificent and transparent, a recording of the famous masterpiece by J.S. Bach by La Petite Bande and Sigiswald Kuijken. The ensemble has a worldwide reputation of aiming for the most authentic sound possible. Again Kuijken and his group of musicians and vocalists have achieved this the most sublime way! Sigiswald Kuijken knows the St. Matthew Passion through and through. With La Petite Bande he gave performances of the work all over the world. 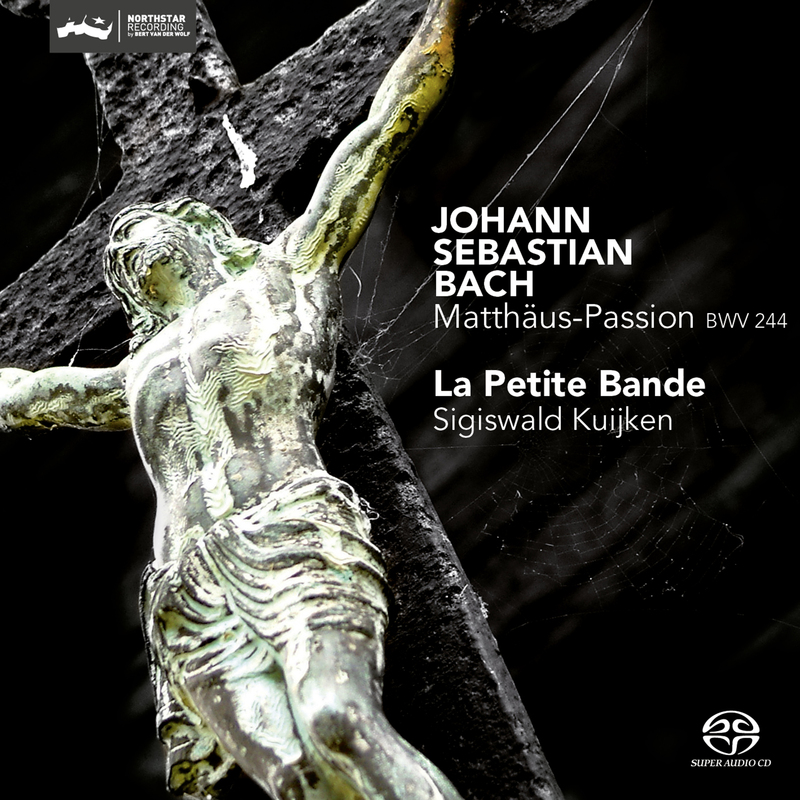 Twenty years ago La Petite Bande (at that time with conductor Gustav Leonhardt and Kuijken as concertmaster) made their first recording of the Passion. It was a recording with soloists, a chamberchoir and an orchestral composition which was adjusted to that. Since then Kuijken's vision on this masterpiece has changed very much. Ground-breaking musicological work of the last decades has brought him to a serious thin-out of his ensemble without the use of a conductor. There is not a real choir anymore, because the soloists perform also the choirparts. The boyschoir that is usually used in most performances of this Passion is replaced here by a single soprano voice! Additionally, by using authentic instruments and the original way of playing them, both in interpretation and sound quality, La Petite Bande strives to revive baroque music as faithfully as possible without lapsing into rigid academics. Aria (Soprano): Blute nur, du liebes Herz! Aria (Soprano, Alto - Chorus II): So ist mein Jesus nun gefangen 27b. Chori: Sind Blitze, sind Donner in Wolken verschwunden? Aria (Alto, Chorus II): Ach! nun ist mein Jesus hin! Aria (Basso): Gebt mir meinen Jesum wieder! Recitativo (Evangelista, Platus, Uxor Pilati, Chorus): Auf das Fest aber 45b. Chori: Lass ihn kreuzigen! Choral: Wie wunderbarlich ist doch diese Strafe! Recitativo (Alto): Erbarm es Gott! 4 Nominations for Challenge Classics at the ICMA! La Petite Bande moet blijven, want het is zo langzamerhand enig in haar soort!